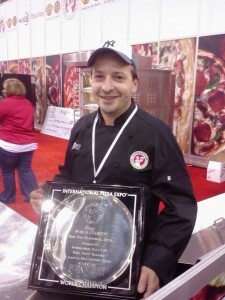 When it comes to Pizza Schools why not train with the best. The Pizza School of New York Offer one on training with international pizza champions. The One on one experience is more then any one can hope for. Training in alive restaurant with some of the best pizza makers in the world. Its a no brainier sign up today and become the best you can! Students fly in from all over the world every week. Book early and call today we will be glad to answer all your questions. Check out our site stop in we are here to help you win!